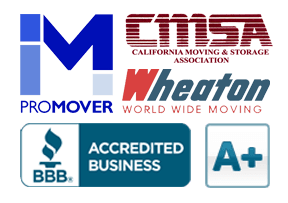 What To Do 1 Week Before Moving | Moving Tips | Cummings Moving Co.
Clearly mark items you plan to move yourself. Make sure they are all in one spot so it is obvious that they do NOT go on the truck. Take a JUMBO RED MARKER to all fragile boxes or add BIG “fragile” stickers. Get cash. You will need cash for any number of things: tips while traveling, tip for movers, emergency cash, etc. Confirm all travel arrangements and reservations. If you have a lock-box at the bank, make sure to make a list of its contents, close-out the lock-box and have a plan for safe transport of the items from your current bank to a bank near your new home. If there are things that you cannot take with you, check with your bank for the best way to transport these items. Clean out your stove and get it ready to move. Do your final loads of laundry. If you are moving the washer and dryer, leave plenty of time this week to un-hook your washer and dryer and prep them for moving. Check your user manual for specifics or call the appliance store where you purchased them. Pack your suitcases and add any last minute clothes to your “Open Me First” box. Prepare your fridge and freezer ahead of time. Refer to the owner’s manual for manufacturer guidelines. They will likely need to be unplugged well in advance so they have ample time to cool down, warm up and dry out. If you cannot find specifics for your model, start a week out. Make sure they are unplugged, room temp, wiped out and completely empty and totally dry for a full 48 hours BEFORE your movers arrive. Use baking soda to eliminate any odors and leave them open to allow them to air out. Making sure they are dry, dry, dry helps to prevent mold and mildew. Important Note: If you have children, please be EXTRA cautious – these are tempting hiding spots for curious kids. Tape something to the inside edge of the door so the door cannot be completely closed or remove the doors altogether. When they are ready to go, the movers can easily remove the prop or re-attach the doors. In the meantime your children will be safe. Make sure your moving company knows how to reach you while you are in transit to your new place and that YOU know how to reach them. Especially if moving over a weekend or Holiday. Make sure you know how to pay your mover. Do not assume. Always ask. Make sure you understand the insurance coverage of your belongings. If using a moving company, check with them. If moving yourself, check with your insurance agent about items in a rental truck, in your car and things in transit in other ways.